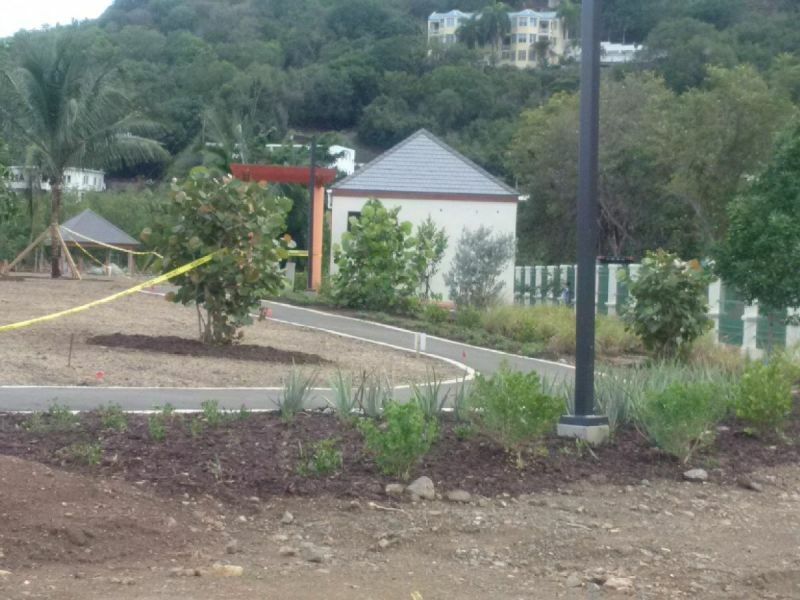 ROAD TOWN, Tortola, VI – “Shame on you,” said First Lady of the Virgin Islands Ms Lorna G. Smith OBE, TEP as she bemoaned the unsavory reports of person stealing plants from the Queen Elizabeth II Park and the Sir Olva Georges Plaza. 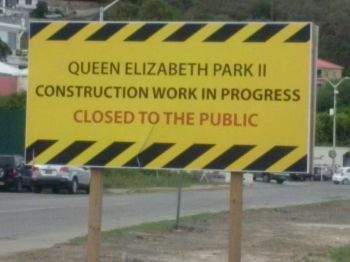 The Government of the Virgin Islands is currently expending thousands of taxpayers’ dollars to develop the Queen Elizabeth II Park with the intention of making it a family friendly space for residents and tourists alike. Much of the money being spent is dedicated to the landscaping of the park, however, and much to the disgust of the contractors, several days during the course of last week they arrived at the facility only to find a number of the plants missing. Minines Plant is the landscaping company contracted to execute the works at the Queen Elizabeth II Park. When contacted, one of its main men, Mr Stephen Steer, confirmed the reports received by this news site. “Yes, it is true. A few days during last week we have been noticing that every time we go there plants are missing, they are rooted out,” said Mr Steer. He also confirmed that the plants were not donated but purchased by Government and appealed to residents to be vigilant as he said it is very distasteful what is being done. Up to the time of speaking with Virgin Islands News Online, Mr Steer had not gone back to the location and was unable to say if the gates were being closed at the end of the day or if more plants had been stolen. 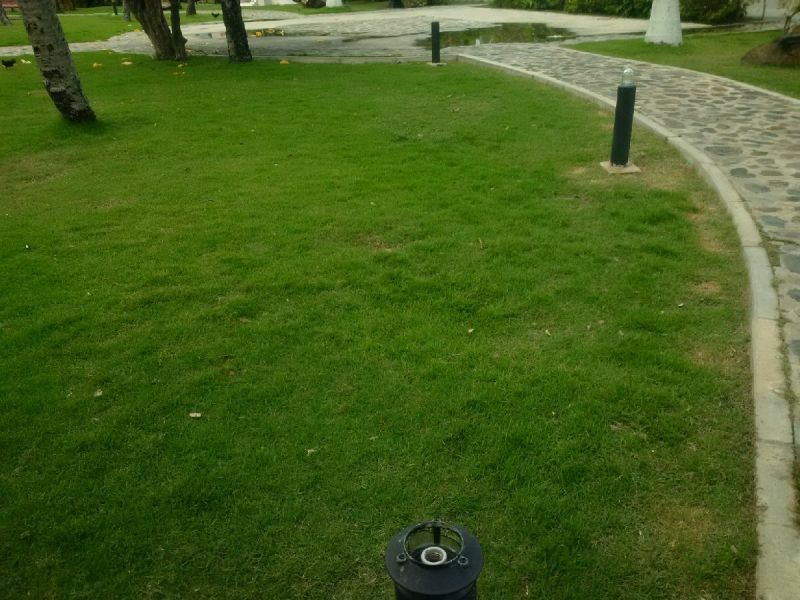 Meanwhile, First Lady Mrs Smith posted on her Facebook page that she had received reports that plants were being removed from the Sir Olva Georges Plaza. “My nephew Dalan V (Vanterpool) started BVI Positive which is wonderful but there is a negative I cannot ignore any longer: a few months ago the Rotary Club of Tortola took on the beautification of Sir Olva Georges Plaza. No sooner had we put in the donated plants, the solar lights and hanging baskets than the lights were all stolen as were all four of the hanging baskets of flowering plants,” said Mrs Smith on social media. “SHAME ON YOU!” she added and implored anyone seeing this activity to report it to the police as it’s a crime of theft. Over at the Noel Lloyd Positive Action Movement Park there is also evidence of vandalism and possible theft. Sitting in the park recently it could not pass this reporter’s eyes, the many broken and missing lights. Where the heck are the CCT cameras? We have no shame in this place. To think that who ever dtole the plants can sleep peacefully at nights. Men sleep but God doesn't. I hope this get a taste of Karma. Dirty rotten thieves..
Where is our pride/conscience. Bvi did not need cameras years ago. some of us tooo damn thief. Hope they went with those cactus that was planted in there. Those are the only plants need to be stolen from in there. I came on here to post the same comment..... lol. What a dumb idea (Cactus in a Park). I was thinking the same, lol! More than shame now look the location of the park, when the plants are found file charges, a big disgrace, in fact even the churches surroundings are being deprived of tea plants that are used on Sunday mornings an other activities. Can you imagine as simple as it my sound who is so vindictive, pure boldfaced ness an covetousness. Sit back and watch your neighbor. why? so you can drag race after hours? Or rush only to get to a bottle neck? We live on an island with limited space. Get used to it. M** did it. He going sale them to pay for toilet paper in the schools. Chile is SELL... Not SALE ... Google b4 u blast !! Their must be in a CC Camera in that area monitoring the entrance to the Governor residents which will also monitor the park. These cameras can cover a 100 yards diameter. We will see the culprit. The people stole the wrong thing. 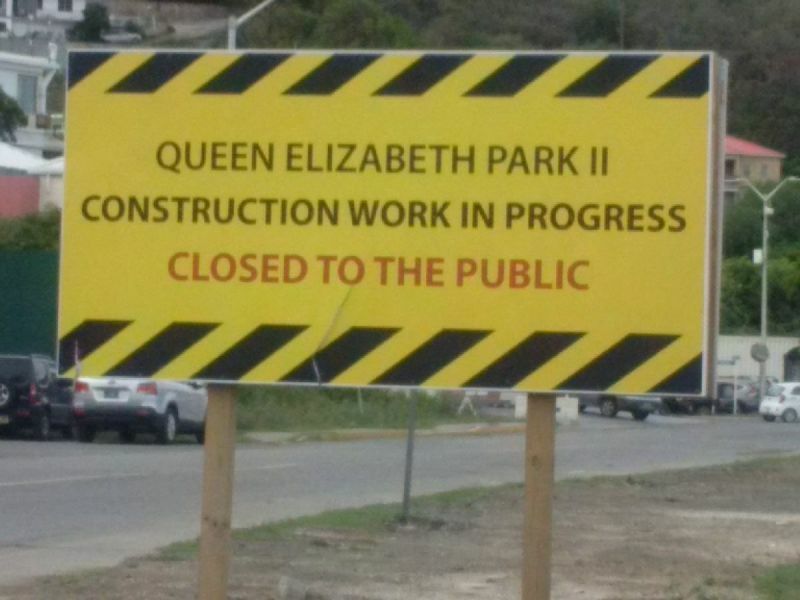 They shouldn't steal the plants; they should steal the sign that says QEII and replace it with one that says RALPH TILFORD O'NEAL PARK as his starting for things being named in the BVI after Uncle Ralphie. What QEII? If you know the history behind them people, you would remove their name off anything in the BVI. Put up cameras to see all activities that go on in the park. The person or persons who are responsible are really depraved. Plants and tax payers money......thief is thief! They didnt steal no plants to get financial gain... This was a Vindictive Act ... To spite the NDP Government !!! The same story with the bus stops that Rotary installed, there are in disrepear people did not appreciated the great effort made. Buttonline do not touch what does not belong to you. Stilling is a sin no matter how small and insignificant it could be. If It is not yours, do not touch it. Besides God will judge us for that either we believe there is a God or not!! !